Welcome back, indie-author friends! And for you newbies to the series, hello and welcome! For those just tuning in, each week in 2019 I’m going to be posting the good, the bad, the ugly (hopefully more good than ugly!) in my journey as an indie author… AND hopefully some tidbits that will help others along the way. 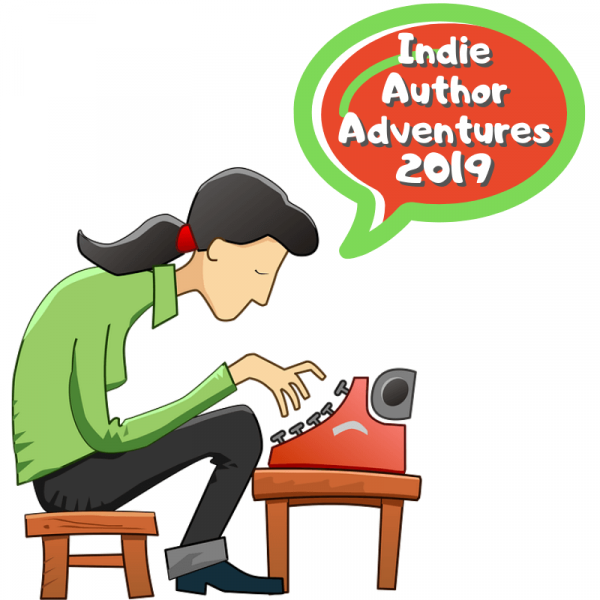 If you’ve been in the “indie-author lifestyle” (lol) for any length of time… you’ll know that it is an almost constant journey of learning and self-discovery. Not in some woo-woo sort of way — although that happens too — but in a very practical, everyday sort of way. I’ve said before, if you are not willing to be a student, and are not open-minded enough to learn, then being an indie-author is possibly not the right path for you. And I hold to that. So, today, I want to talk about what I’ve learned this past week and learning as an indie-author in general. This past week I learned that although I ❤ technology… I ❤❤❤ writing even more. Seems like a no-brainer, right? Well, maybe not. I’ve been in the technology field for over 20-years. And (for me at least), I’m not gonna stick with anything for over 20 years unless I love it. Call it a character flaw, call it being self-aware, call it whatever you like, but that’s just me. So, yes, I love tech. But these past two weeks have been hyper-focused on my tech work to the point where I’ve written in the past two weeks the amount of words I would normally write in an hour. And it is making me cranky. Seriously. 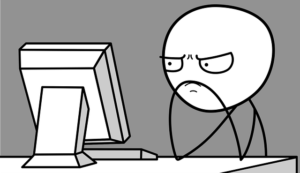 It’s like I’m having withdrawal from my writing routine, and it is starting to wear on my cranky-nerve. But… I have to remind myself that this is a temporary push… a “crunch-time” that comes right before a big launch of a new product… and I’ll be back to my normal routine soon. So… though I just don’t have enough braining left after a 10+ hour day of tech work to write words that make any kind of sense – I’ve used a little bit of time to read, learn, and as a consequence GROW my author biz. What was it? How did I do it? If you are an indie-author, this is a book you NEED to read. If you are a creative in any art, writing or otherwise, you need to read this book. Many — I daresay most of us — at some point in our indie-author career seem to neglect the fact that we are, in fact, a business. If you are writing with the intention of actually earning a living from your art – you must treat it like a business. Period. Now… that does NOT mean it has to be icky, sleazy, salesy, or any of that nonsense…because really, that would put a serious damper on any real creativity. But you do need to take it seriously, and LEARN how to treat it like a business in a way that still feels good, gives you the warm-fuzzies, doesn’t offend your creative id. If you are at point A… and you want to get to point D… don’t you think a map showing you were points B & C are might be helpful? Learn from those who have already traversed the path you want to take… you don’t need to recreate the wheel. Learn from what works… and from what doesn’t. Find your peeps who also love the brightest, pinkest, dragoniest socks… and you will be well on your way to a successful indie career! More (much more!) progress toward my new PAWs product launch! If you want to “make it” as an indie-author, you have to treat it like what it is – a business… and save yourself time, expense, and energy by modeling what works and avoiding what doesn’t!